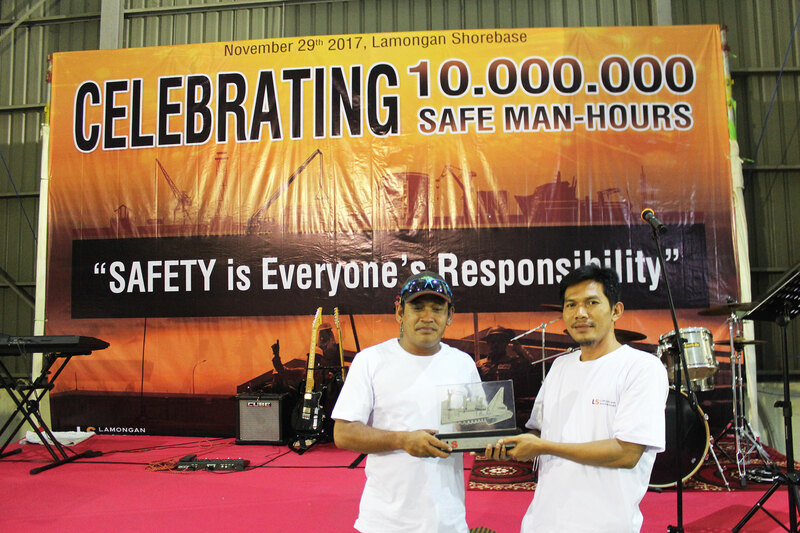 LS celebrated 10 Million Safe Man hours on 29 th Nov with a gathering of all personnel, with customers and vendors. It took us 5 years to achieve this milestone, and in that 5 years, we had a total of 7981 vessel calls, handled 2,386,661.93 tons of cargo at the jetty. Pak Wiwit, HSE Manager opened the event with a short speech, followed by the speech of Pak Sugeng, our Senior Operations Manager. At the event, everyone on Base committed to “Safety is Everyone’s responsibility” by signing a banner. We took the occasion to thank our customers and vendors who have advised us, guided us, and supported us in making LS a safer place for all. Staff from all departments took part in a safety quiz, and were rewarded with cash awards for the right answer. The event closed with our LS Eastlife Band leading all to participate in our safety theme song.